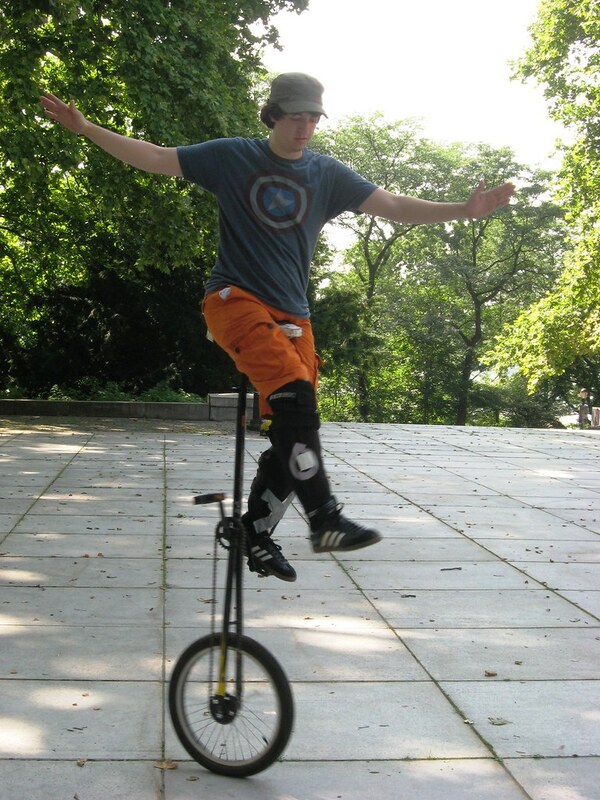 We have begun having a few well attended meetings for the this unicycle season. Even if you cannot attend one of our meetings, you can always get a sense of what went on and who showed up by viewing the photographs taken that month on our photostream on Flickr.com. Flickr has recently changed the design of our photostream front page to provide more of a collage of photographs. You can still access individual albums on a page that looks similar to the front page. If you would like to look back at earlier annual collections of photo albums you will now have to click on the elipse "..." on the top right of the screen to get to them. 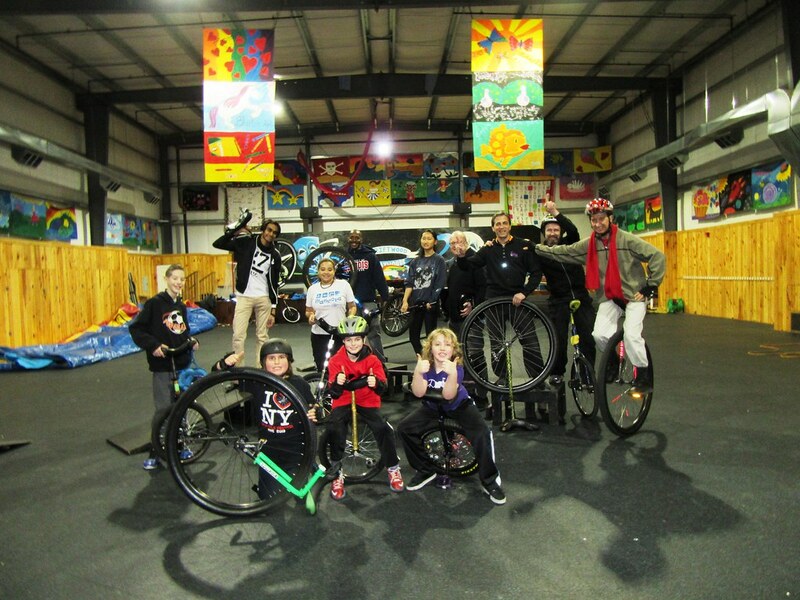 Click this link to check out a slideshow of photographs record at the May meetings. 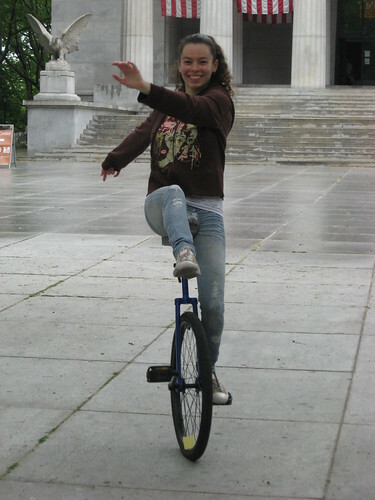 Pictured above in Olga Glazman, a new member that is an excellent unicycle rider and juggler. [caption id="" align="aligncenter" width="337" caption="Best of 2012"] [/caption] Check out some of what I have chosen to be this past year's best photographs that are in this Slideshow from our Flickr page. For this year I chose a photograph of myself. I find this choice to be ironic since I am the one who is usually behind the camera rather than out in front of it. 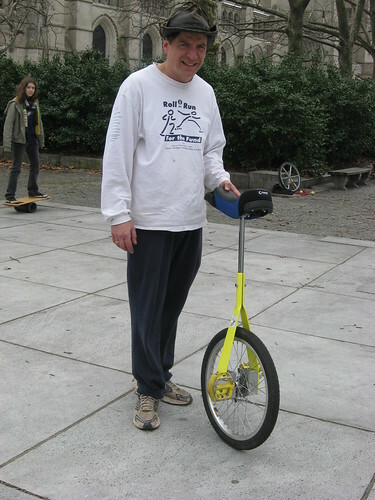 In this photo I am riding my 36 inch unicycle on the day I received it. 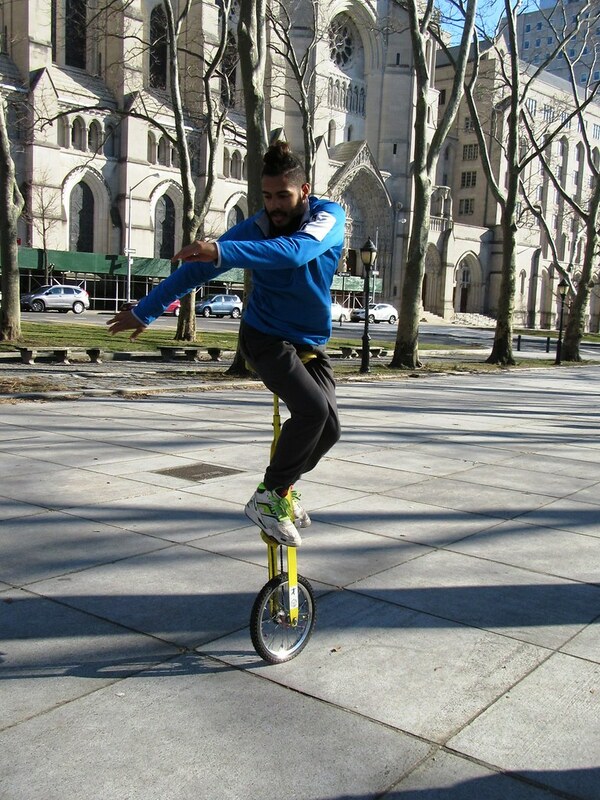 I had spent years flip flopping on the idea of having my very own 36 inch unicycle. 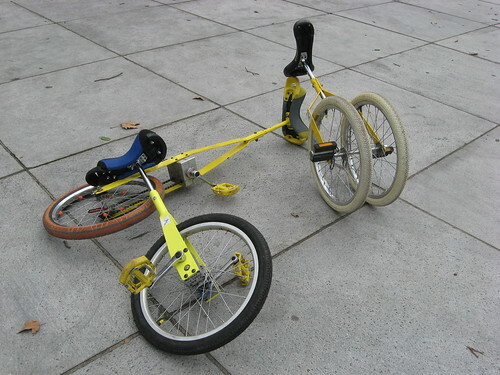 For more than ten years I have been taking short rides on every 36 inch that someone brought to a meeting. 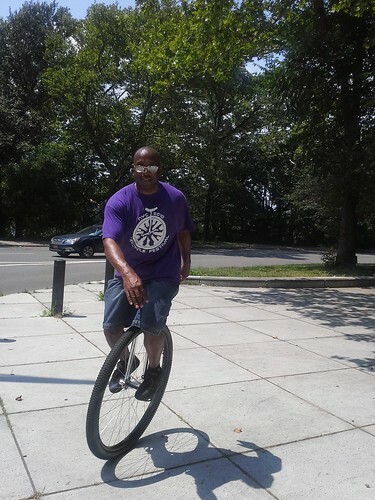 I would like to thank Renie Cohen of Just One Wheel for taking this photo and allowing me to add it to our collection. The photographs that are in this slideshow are just a small portion of the photos that were taken this past year. Since I really do not always concentrate on taking photos at every meeting, I am always amazed at how many I have taken by the end of the year. Each year it is so tough to reduce such a huge amount of photographs down to less than 150 of the best photos taken. I attempt to include the best photos of just about everyone that has attended a meeting or event throughout the year. I also make an effort to give the viewer a sense of the breadth of events that have taken place. 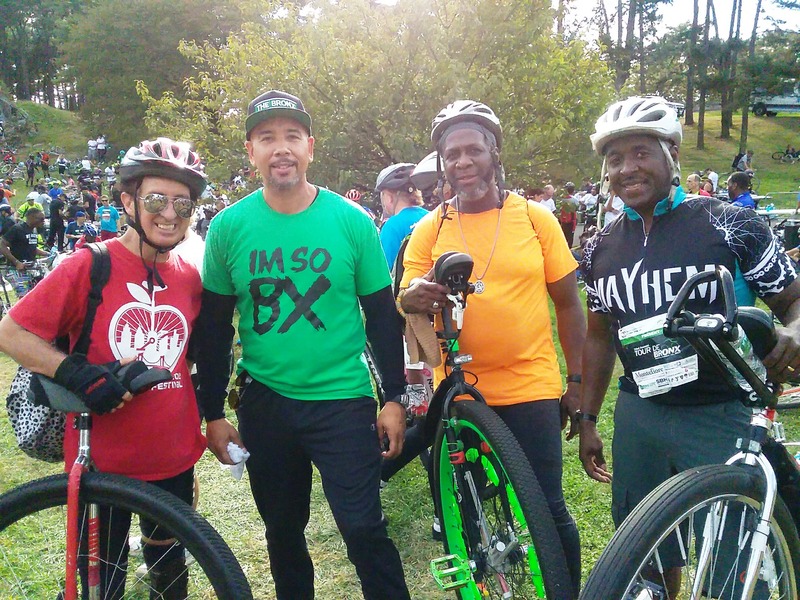 If you would like to see all the photos from 2012. 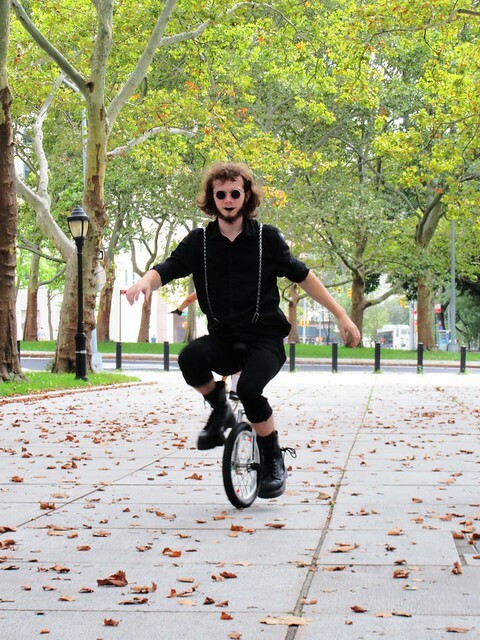 You will find them all gathered on the 2012 collection page.You can click on each set and then click on the word "Slideshow" Throughout 2012 I have witnessed the popularity of unicycling continue to rise. 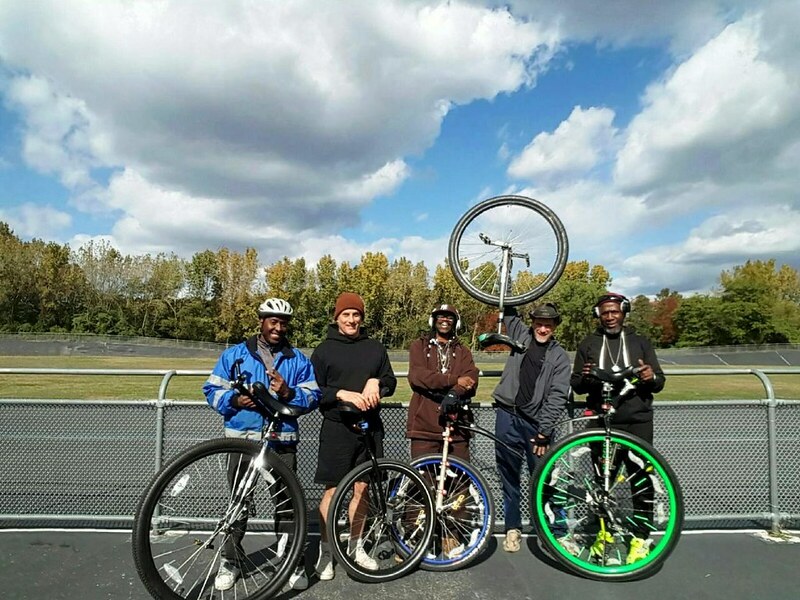 The participation at the unicycle festival this year was again tremendous. I hope this year turns out even better.